Step 1: From your account HOME page click the FILE A CLAIM button. 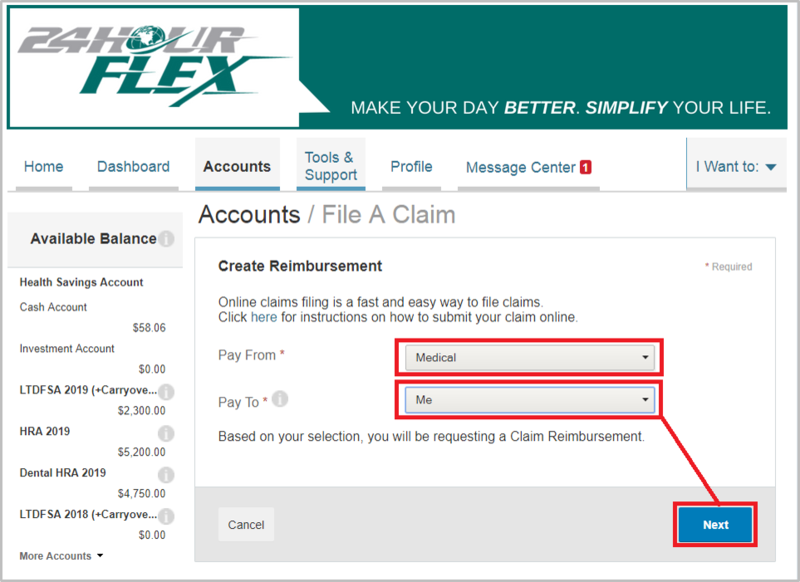 Step 2: Begin creating the reimbursement by selecting the PAY FROM account and the PAY TO account. Click the NEXT button when you are ready to continue. Step 3: UPLOAD VALID DOCUMENTATION and select Next to continue. Uploading your receipts is the ideal and most secure method for submitting documentation. 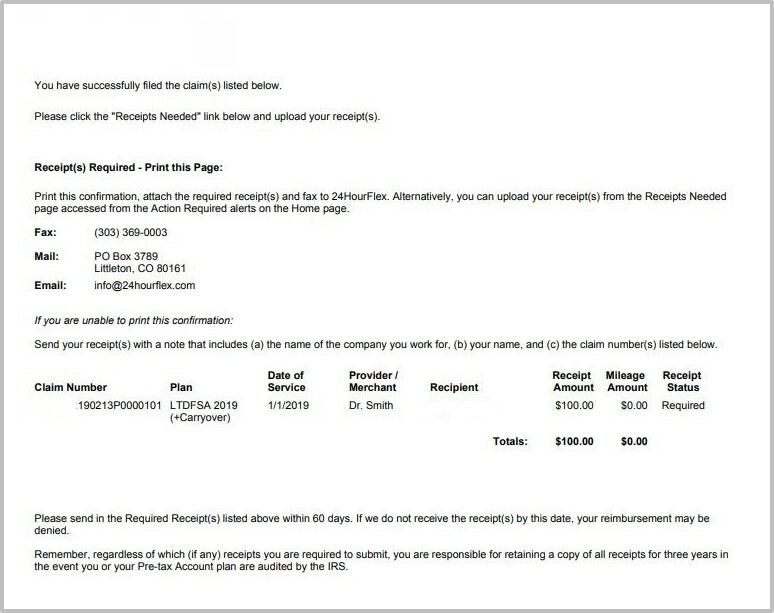 Alternate methods for submitting receipts include email, fax, mail, and drop-off (all alternate methods require the printable claim confirmation). Step 4: Enter all required information (* indicates required field), and then click NEXT to continue. 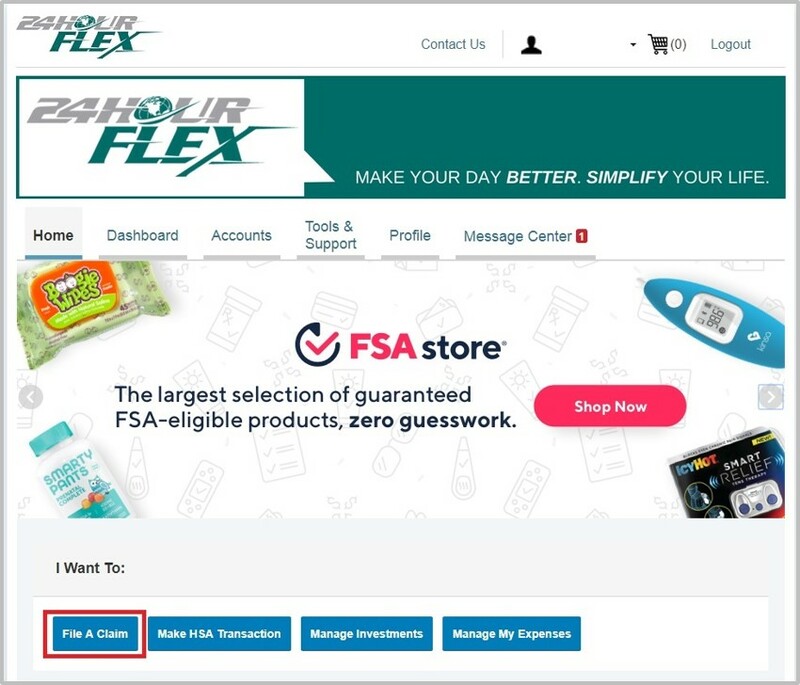 Step 5: Submit the claim from the TRANSACTION SUMMARY page. 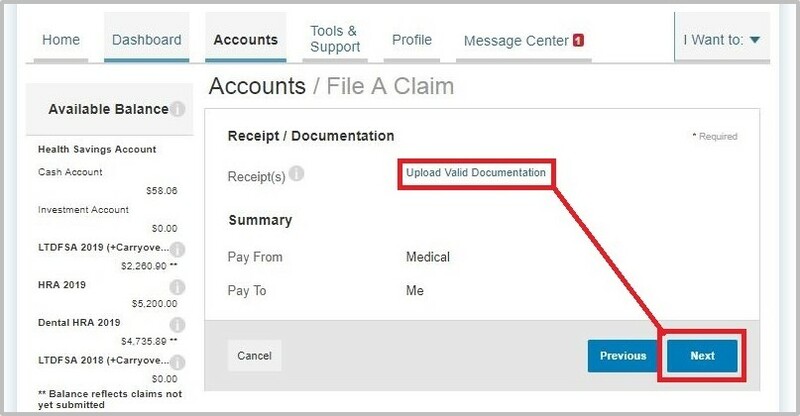 From the TRANSACTION SUMMARY you will have the option of adding another , removing, updating/editing, and submitting the claim(s). 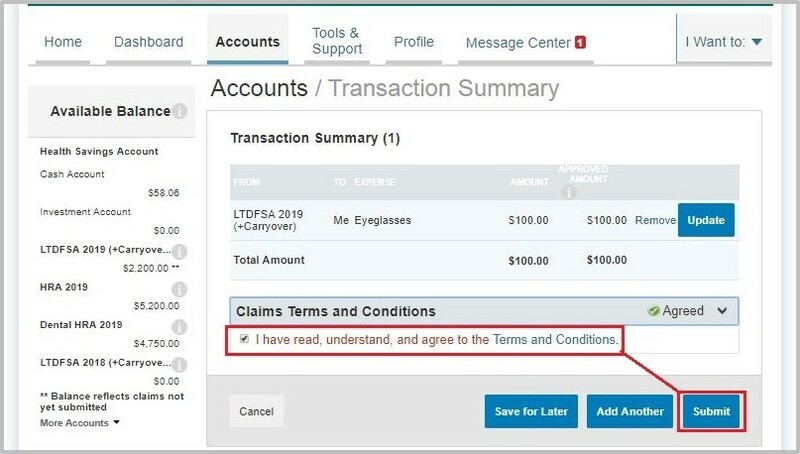 You will be required to check the I HAVE READ, UNDERSTAND, AND AGREE TO THE TERMS AND CONDITIONS box before you can select SUBMIT. 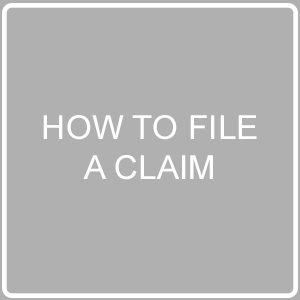 CLAIM CONFIRMATION FORM: These documents are generated each time you file a claim. Please include them as the cover page when faxing, emailing, or mailing in your receipts. You do not need this document if you are uploading receipts through your secure online portal. Keep an eye on your account for important notifications. 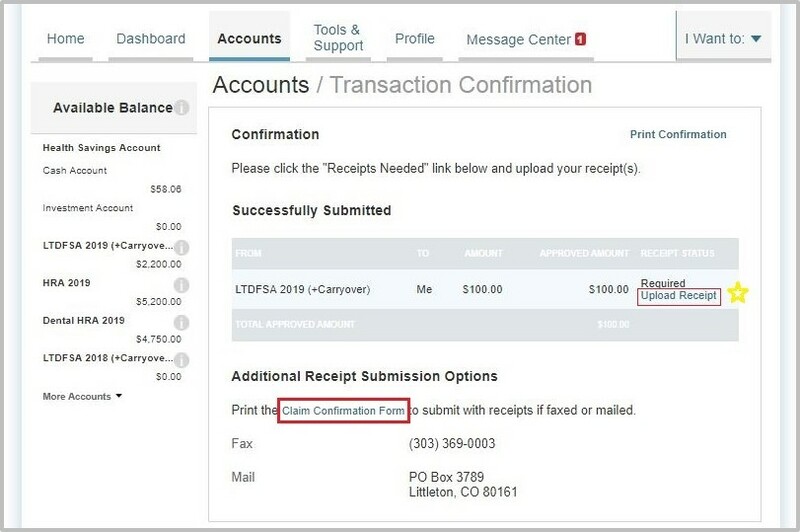 Pending reimbursements will appear in the MESSAGE CENTER on your HOME PAGE. 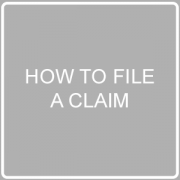 *Once the claim is submitted, you will have the option to print the claim confirmation page. **If you do not have the ability to upload your receipts, please use the printable claim confirmation page as the fax cover page or accompanying attachment to an email (the fax number/email address is located on the printable confirmation page). 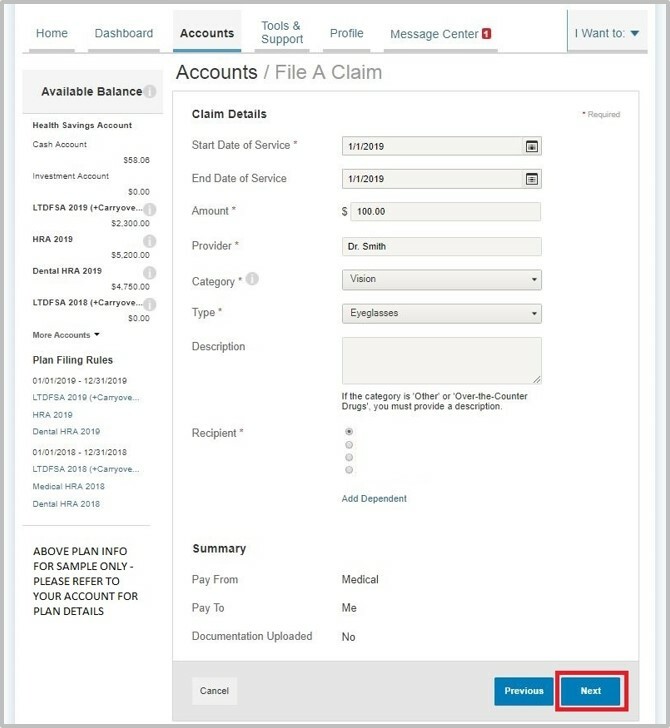 ***Processing on new claims for reimbursement typically takes 1 to 2 business days. Other Helpful Topics: Login, Change Login, App Login, Chat, Overview, File a Claim, Card Status, Replacement Cards/Lost or Stolen Cards, Dependent/Spouse Cards, HSA Tax Statements, HSA Transaction, HSA Fees, Upload Receipts, Making Repayments, Direct Deposit, FSA Store, RMI, Update Notification Preferences, Eligible Expenses, File HRA Claim, Card Use Verification, Downloading the Mobile App, App Overview, Why Ask For Receipts?, Preparing For Legendary Service.